Random size case sealer for consistent flow and sealing of tall cases at up to 15 cases per minute. Automatically adjusts for case height and width. Includes 3M AccuGlide II Taping Heads for low-impact application of tapes 36 mm to 48 mm wide. 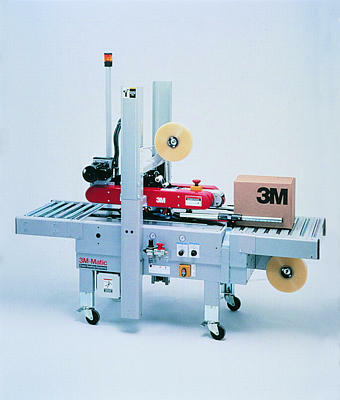 Choice of manual-feed case sealers that adjust for random case height and width. Automatically sizes the machine for each case without stopping for adjustments.